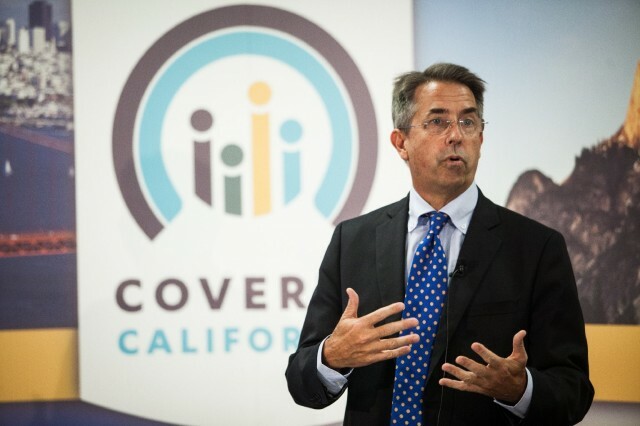 With six weeks left to go in the first open enrollment period in Covered California, the state's health insurance marketplace, California has already exceeded its goal for the number of people it hoped to enroll into health care plans. As of February 15th, 828,638 people have signed up. The original goal had been 500,000-700,000 people by March 31. However, the state is still scrambling to get Latinos on board. The rate of Latino enrollment showed signs of modest improvement in January. About 7 percent of people who enrolled in health plans through January 31 speak Spanish as their primary language. But the state is still far from mirroring the representation of Spanish speakers in California which is nearly 30 percent. Overall, Latinos represent 21 percent of sign-ups through the end of January, while that demographic makes up nearly 50 percent of the state's population. On Wednesday Covered California launched a new marketing and outreach campaign to try to change this, called "Tengo un plan," or "I have a plan." The new TV commercial and on-the-ground efforts are a response to pressure from advocates and media who have criticized the state for glitches in its Spanish website, the call center dialogue and particularly for not hiring enough Spanish-speaking staff. Latinos as a group are younger and healthier than the general population as a whole. Their premiums are needed to help balance the health care costs of older, sicker Californians and keep premiums down for everyone. In addition to the Covered California enrollees, another 877,000 Californians are likely to be eligible for Medi-Cal. Young adults are ticking upward in their enrollment. Of those who have selected a Covered California plan, 26 percent are adults ages 18-to-34 years old. While this group is about 25 percent of the population, it is 36 percent of the people who are eligible for subsidies and would enroll on Covered California.